For the very best in lawn care and landscaping products, trust Tom’s Sharp Shop: your authorized STIHL dealer and service provider! 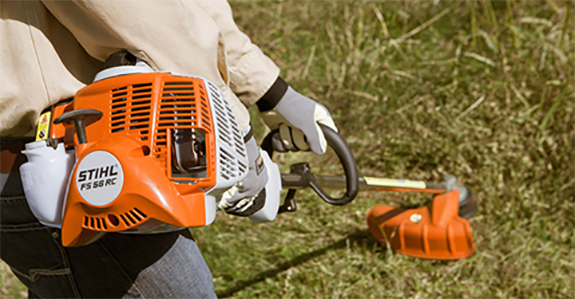 Our friendly and knowledgeable staff is always ready to help you select the equipment that meets your specific needs and we proudly offer fast, professional service for your STIHL equipment after the sale. The Finest Lawn Equipment Sales in Hobbs, NM! From lawnmowers and trimmers to pole pruners and multi-task tools, there are numerous tools that help us keep our lawns and landscapes looking prim and proper. And, when it comes to projecting the best landscape, it takes the right tools. At Tom’s Sharp Shop, we exclusively sell and service STIHL products, because we know just how important quality is. No matter the tool you’re looking for, no matter if you need a crash course in using it, no matter if you’re not quite sure of what you need when you visit us, we’re here to help. We’re pleased to be an authorized STIHL dealer and service provider. We maintain a superb rating with the Better Business Bureau! We have two decades of experience behind us! Our drive for superior customer service is unmatched! We also offer a full line of batteries and accessories to keep your products running!